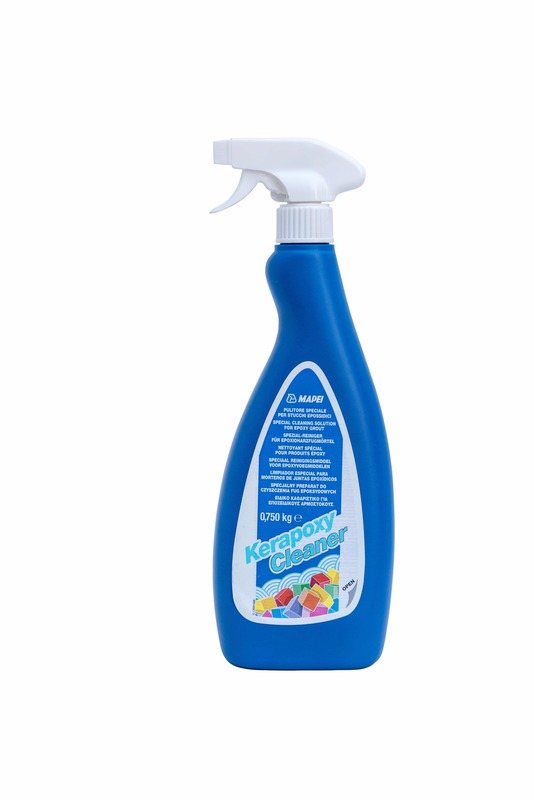 Kerapoxy Cleaner is a detergent used to remove traces of epoxy grout such as Kerapoxy, Kerapoxy P, Kerapoxy Design, etc. from ceramic and glass mosaic coatings. The main purpose is to facilitate the removal of spray residues after the final wash with water. It can also be used to remove any light surface haze that may remain once the grout has dried i.e. the next day.